Last night was the 2010 NBA Draft Lottery. Usually the worst team in the previous season get’s the highest percentage chance to win the lottery, but the NJ Nets did not win the lottery last night. NJ ended up with the No. 3 Overall draft pick in this year’s draft. My Philadelphia 76ers ended up with the No. 2 pick and the Washington Wizards won the lottery with the No. 1 pick. 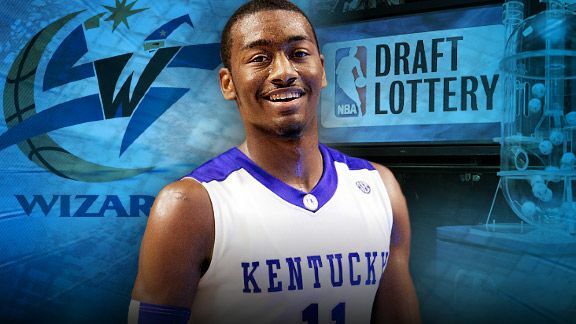 Will they pick John Wall?